Harvard University Press, 9780674725034, 166pp. With textbook readers and digital downloads proliferating, it is easy to imagine a time when printed books will vanish. Such forecasts miss the mark, argue Jeffrey Schnapp and Matthew Battles. Future bookshelves will not be wholly virtual, and libraries will thrive--although in a variety of new social, cultural, and architectural forms. 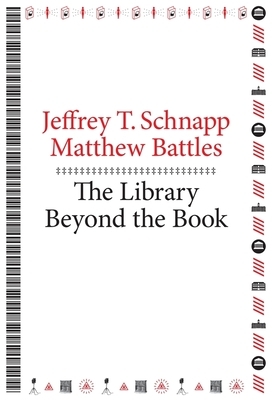 Schnapp and Battles combine deep study of the library's history with a record of institutional and technical innovation at metaLAB, a research group at the forefront of the digital humanities. They gather these currents in The Library Beyond the Book, exploring what libraries have been in the past to speculate on what they will become: hybrid places that intermingle books and ebooks, analog and digital formats, paper and pixels. Libraries have always been mix-and-match spaces, and remix is their most plausible future scenario. Speculative and provocative, The Library Beyond the Book explains book culture for a world where the physical and the virtual blend with ever increasing intimacy.